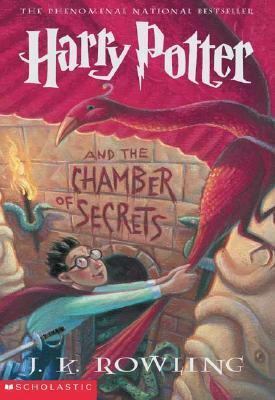 Harry Potter continues his life in Hogwarts: School of Witchcraft and Wizardry. This time, Ron’s sister, Ginny, gets hold of an ancient diary wrote in by the evil Voldemort, also known as Tom Riddle. She accidentally falls into the arms of the young version of Tom Riddle. Now it’s up to Harry, Ron, and Hermione to stop Ginny from doing an evil curse that would change the universe. My favorite part of the book was when Harry fought Tom Riddle (Voldemort) in the Chamber of Secrets. Harry got hold of a rare item that helped him defeat the spirit Voldemort. If you like mysterious books, you’ll love this book! This book’s genre is fantasy. This book’s story line is heart-warming. This book left me feeling hopeful, inspired, surprised. On a scale of 1-5, I give this book a 5.